The Limon Leader / Eastern Colorado Plainsman: Can it! Will your New Year’s Resolutions include updating your food preservation skills? Want to learn how to safely can, dry or freeze your garden’s bounty? 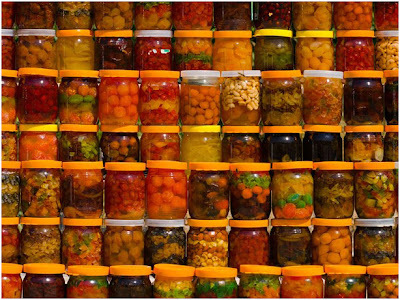 Colorado State University Extension invites you to enroll in Preserve@Home, an on-line food preservation class to teach individuals how to safely preserve a variety of food products. Participants learn how to produce high-quality, preserved foods and the science behind food preservation and food safety. The registration deadline is January 10, 2013. The first class of the 6-week course starts on January 17, 2013. Each lesson includes online text (that can be downloaded and printed), on-line Bulletin Board to facilitate participant discussion, video lessons to view the processes, and a real-time weekly Chat to interact with classmates and instructors. Topics to be covered include: Foodborne Illness – causes and prevention, Spoilage and Canning Basics, Canning High Acid foods, Canning Specialty High Acid Foods – pickles, salsa, jams, jellies, etc., Canning Low Acid Foods, and Freezing and Drying. Supplemental materials this year will include materials on planting varieties for food preservation and one on cold storage and root cellaring. Cost of the course is $70 and payable to Boulder County Extenion. Many of the supplemental materials are available free, on-line. Class size is limited. This course has been developed and is offered collaboratively with University of Idaho and Oregon State University Extension Services. Call 303-678-6238 to reserve your space, and then get your registration materials submitted to Anne Zander by January 10, 2013. *Note anyone interested in making jams/jellies to sell via the Colorado Cottage Food Bill, this online class would provide you will food safety information and .all of the safe food preservation methods you would need in order to produce a safe product to sell to consumers. This is not the training for the ServSafe Managers Certificate that is required, as that is a separate class offered.